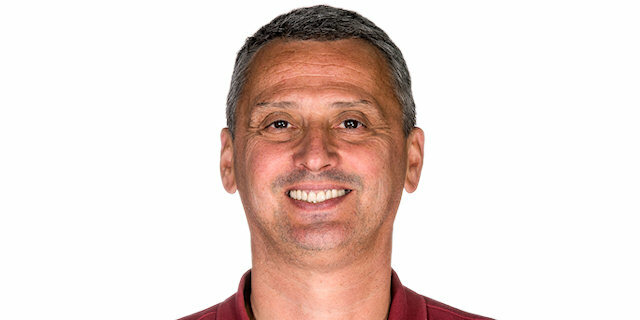 Zalgiris Kaunas never trailed in holding off Crvena Zvezda Telekom Belgrade for a hard-fought 68-70 road win on Thursday in the Serbian capital. 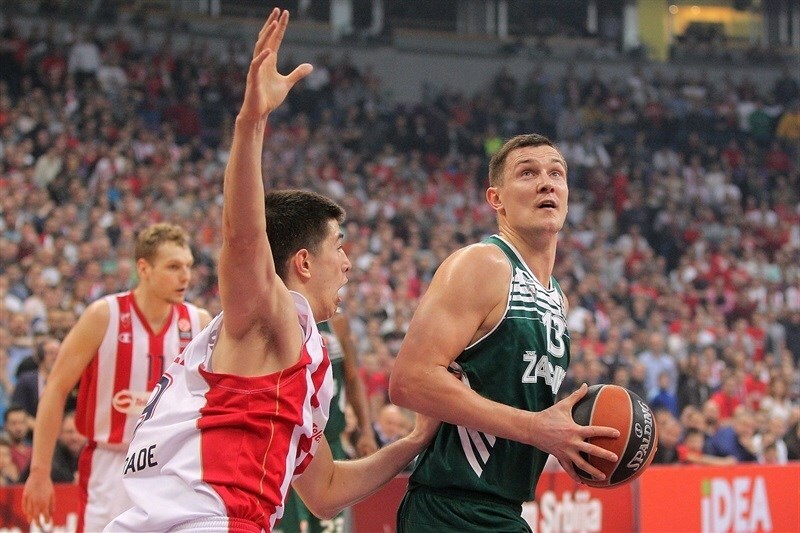 Zalgiris improved to 2-4 in Group E, while Zvezda dropped to 1-5 and last place. The hosts failed to make a three-point shot all game, missing 19 attempts, including a potential game-winner from Marcus Williams at the buzzer. Zalgiris took the lead for good early on and, led by James Anderson who kept scoring in bunches, twice had a double-digit margin. It was 40-50 in the third quarter, and 49-59 early in the fourth. But Zvezda had energy to keep coming back, with Boban Marjanovic dominating inside, and Williams getting the hosts within 64-65. 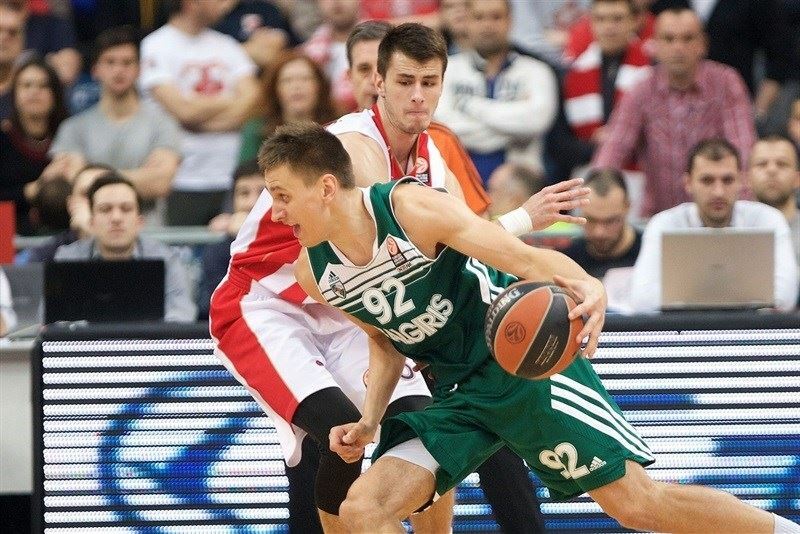 But, Zalgiris never relinquished the lead, grabbing a pair of offensive boards and holding on in dramatic finish. Anderson finished with 22 points, Paulius Jankunas added 11 points and 8 rebounds, while Arturas Gudaitis had 10 points plus 3 blocks in victory. 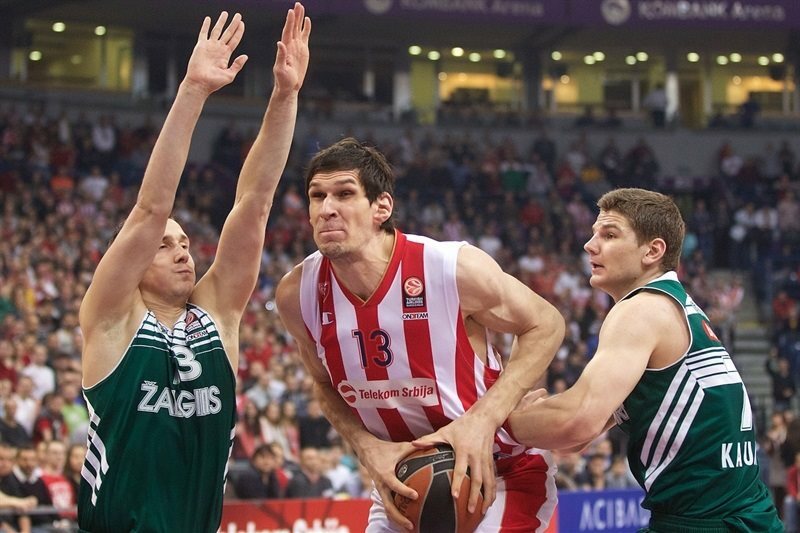 Marjanovic was dominant inside with 17 points and 10 rebounds for Zvezda, Jaka Blazic scored 12, and Williams finished with 9 points, 7 assists and 4 steals for the hosts. Gudaitis got the scoring going with a layup, and after Marjanovic opened Zvezda's tally with a big dunk, Jankunas scored a short jumper, helping the visitors get into a good offensive rhythm, 2-4. Luka Mitrovic and Edgaras Ulanovas traded baskets from close range before Lukas Lekavicius strung a floater and a jumper together for a 4-10 lead. Charles Jenkins and Gudaitis traded long jumpers, and Marjanovic scored from close range for the hosts, but Anderson answered with a driving layup that made it 8-14. Williams made a runner in a crowd, and Blazic drove for a layup to get within 12-14. But a baseline jumper from Jankunas extended the lead, and a put-back from Robertas Javtokas made it 13-20 after 10 minutes, as Zalgiris had six different scorers who went 9 of 10 from two-point range in the quarter. The hosts opened the quarter with more energy on defense, while Branko Lazic drove to the hoop and Jenkins hit another jumper to make it 17-20. After a timeout, Darius Songaila went inside to for Zalgiris, and after Maik Zirbes scored a put-back for Zvezda, Arturas Milaknis joined the fun, becoming the visitors' eighth different scorer. Blazic quickly answered with a fastbreak dunk, giving the crowd a reason to cheer even louder. Ulanovas kept Zalgiris in front, banking in a low-post shot, before Lazic scored a layup-plus-free throw to make it 26-28. Ulanovas hit a pair of free throws and Anderson scored on a fast break and followed it with a three-pointer, the first of the game. His free throws pushed the lead to 28-37 with three minutes to go in the quarter. But Blazic scored free throws and a fastbreak dunk, before Williams fed Mitrovic on a layup with a brilliant pass, getting the hosts within 34-37. Zalgiris was without a basket for almost three minutes, but Lekavicius snapped a 6-0 run with free throws in the final seconds, giving Zalgiris a 34-39 halftime lead. Lekavicius made an off-balance mid-range shot to start the quarter, and Marjanovic scored inside for the hosts. Zvezda kept struggling with long range shots, while Anderson made a short jumper for a 36-43 lead. But Blazic caught the visiting defense sleeping for an easy dunk, and Williams made a floater in traffic for the hosts. 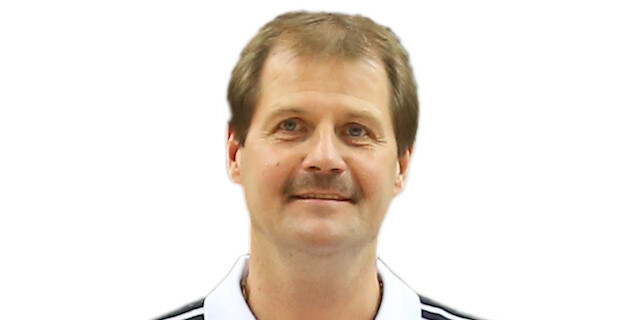 However, Jankunas scored from close range, and Javtokas made an alley-oop slam for a 40-47 cushion. Anderson’s triple gave Zalgiris its firs double-digit margin, but Marjanovic countered with a put-back dunk for a three-point play, and a nifty baseline spin move made it 45-50. Milaknis buried a triple on the other end, but Marjanovic made foul shots and Nikola Kalinic had an easy slam after a steal to cut deficit to 49-53. 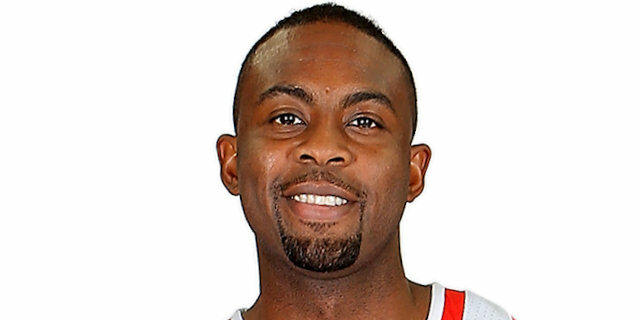 Anderson had a strong opening by making a technical free throw, then following it up on the ensuing possession with a jumper-plus-foul. A layup from Gudaitis pushed the margin back to double figures in only 40 seconds, 49-59. Zirbes scored from three meters, and Blazic sank a mid-range jumper for the hosts, but Anderson made an off-the-dribble runner for a 53-61 lead. 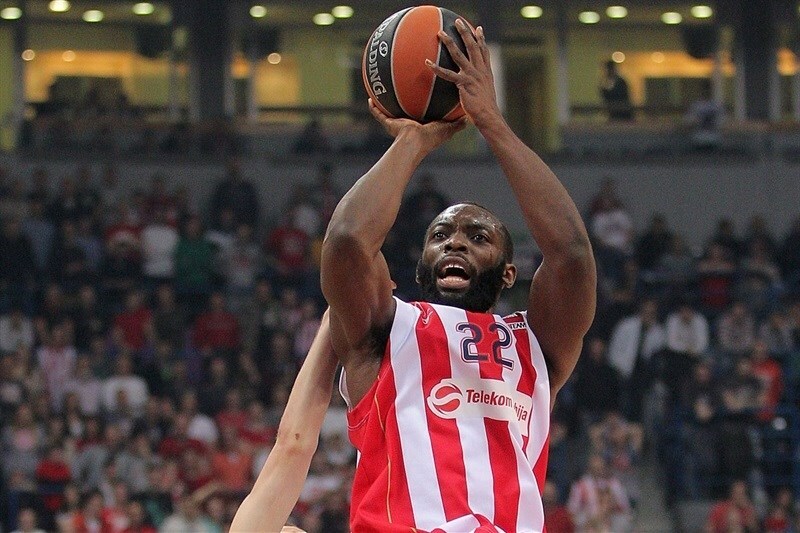 Marko Tejic and Anderson traded easy layups, and Zirbes scored inside once again for Zvezda. 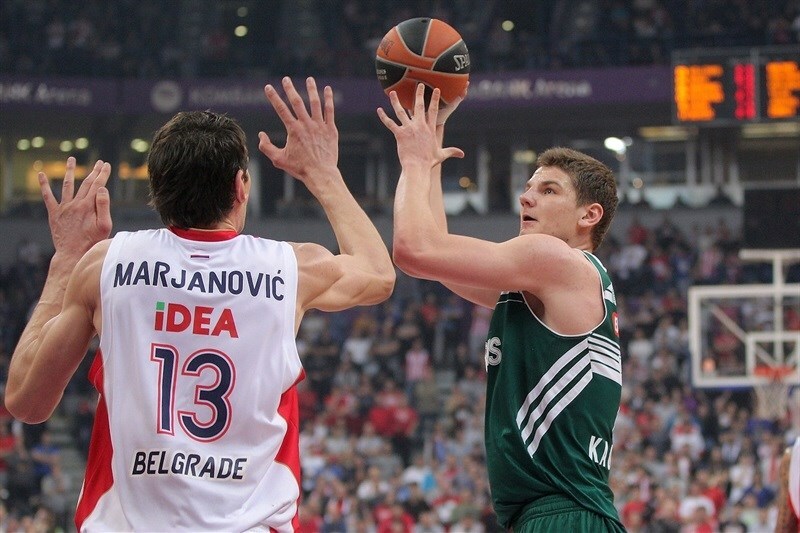 A layup-plus-free throw from Kalinic cut it to 61-63, but a dunk from Gudaitis gave Zalgiris more breathing room. Williams scored a driving layup-plus-free throw, cutting the deficit to a single point, but Jankunas scored a basket, and Zalgiris grabbed a pair of offensive boards, with Willy Cherry scoring after the second to make it 64-69. After a timeout, Williams made a tough driving layup, but Zalgiris did not allow a basket on Zvezda’s next two possessions, and Jankunas split free throws with 37 seconds left for a 66-70 difference. However, Marjanovic made a quick dunk on the other end, and the hosts made a defensive stand, leaving 7 seconds for the final possession, but Williams’ shot from 9 meters fell short, giving Zalgiris its first Top 16 road win of the season. Congratulations to Zalgiris for the win. We did not open the game tough. Our motivation was big, but Zalgiris got self-confidence at the very beginning. Later we played better and we had great desire. Our 17 offensive rebounds are the proof, but without three-points shooting it was impossible to win. There were better solutions in final moments of the game, but anyway we shot for the win and we missed it. The final score could have been different if we hit some triples. "I think when we lost at home against Maccabi, it was necessary to win one game on the road. It was tough to play back-to-back on the road, first in Barcelona, and now here in the great atmosphere here in Belgrade. But big compliments to my team, the plan we made before the game, they followed it close to perfect. " "It was a tough match, and we knew it was going to be what it was. A raw physical game, and we got a good win on the road. Toughness decided the game. We fought against their team and the amazing fan base they have. "